There’s a decent chance that this past Thursday you, like so many of us, saw that video of a precocious mathematician named Dani Ochoa scratching out a physics equation to the tune of the Star Wars cantina song (apparently formally titled “Mad About Me.”) It is also possible that when you saw said video you thought, That doesn’t look so hard. I’m pretty sure I can do that. I mean, maybe not the doing math part but probably the rest of it. It’s not like she was deriving an equation in real time, you wouldn’t think. She’s just writing something down to the tune of the song! You could do that with anything! Perhaps you even went so far as to start scratching out said tune with your fingernail on the side of your laptop. Satisfied with that result, maybe you even considered pulling out a pencil and a pad of paper to give it a go in earnest. At that point it’s possible you instead took a nap and forgot about the whole thing. Look, it was basically already the weekend, okay? And there you have it. 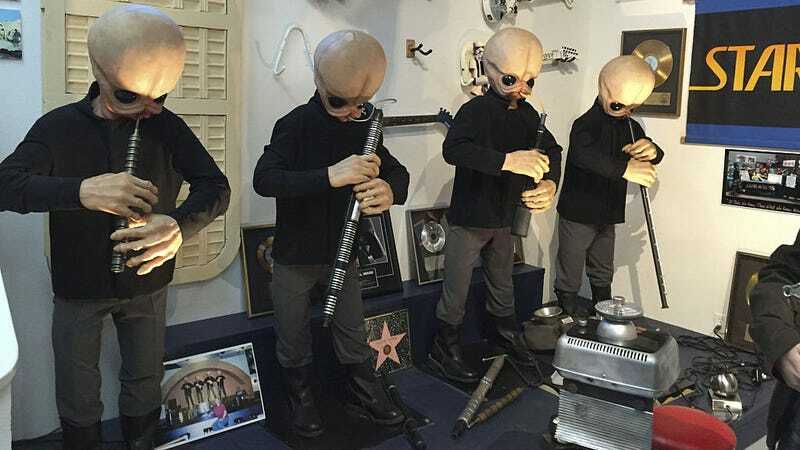 It looks like you can probably play the cantina song on just about anything and it’s not even that hard. And yes, for this one you have to know how to solve a Rubik’s Cube first, and maybe you don’t know how to do that, but surely you could figure it out if you were to put in the effort. But maybe you don’t own a Rubik’s Cube. Maybe you just have other, definitely more important, stuff to do instead. Maybe you just don’t want to learn how to solve a Rubik’s Cube and then solve it to the tune of the Star Wars cantina song. Maybe it’s time for another nap.